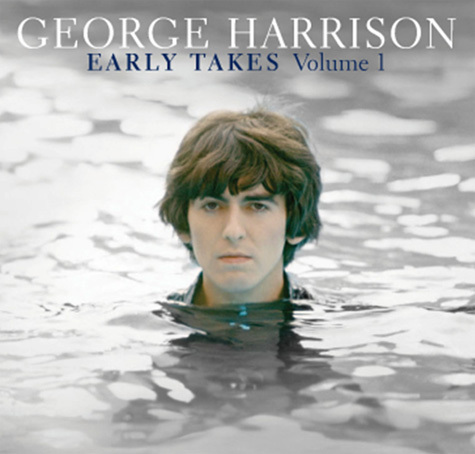 George Harrison - Early Takes Volume 1, a pivotal companion piece to Martin Scorsese's "Living in the Material World"
Early Takes Volume 1 is a pivotal companion piece to Martin Scorsese’s stunning critically acclaimed documentary on the life of George Harrison, Living in the Material World. The album features a wealth of previously unreleased recordings from Harrison, including early takes of I’d Have You Anytime and Awaiting On You All, plus unheard demo versions of Behind That Locked Door, All Things Must Pass, Run of the Mill and My Sweet Lord, all later featured on Harrison’s 1970 chart-topping album All Things Must Pass. Other unreleased tracks include demos of The Light That Has Lighted the World, Let It Be Me, Bob Dylan’s Mama You’ve Been on My Mind, and an early take of Woman Don’t You Cry For Me. Formats to be released worldwide on 30 April 2012 are Deluxe Edition in CD Digipak, Heavy Weight 180-gram Vinyl LP, and Digital formats including Optimised for iTunes and HD Audio. "In 2009 I was privileged to be invited by Olivia to listen to tapes that George had stored in his library at Friar Park. In the beautiful setting of George’s studio, overlooking the meticulous gardens that he had created, engineer Paul Hicks and I unboxed forgotten reels to hear the music George had left behind. This first collection provides a glimpse of what we found. From early multi-tracks of live takes of My Sweet Lord and All Things Must Pass to more recent tracks like Mama You’ve Been On My Mind, we hear an intimacy to George’s voice and guitar that can only be achieved with live performance devoid of production. I’d like to thank Olivia and Dhani for the honour of being invited into their home to share the work that George gave us all." George Harrison: Living in the Material World focuses the imaginative and inspired eye of one of cinema’s most pre-eminent filmmakers on one of the world’s most influential men. The film takes viewers on the musical and spiritual voyage that was Harrison’s life, much of it told in his own words. The result is deeply moving and touches each viewer in unique and individual ways. Harrison was bold, an iconoclast. His platinum-selling solo record, All Things Must Pass, was released as a triple album and featured the hit single “My Sweet Lord.” He organized the landmark benefit Concert for Bangladesh — the first major rock concert to address a world crisis. He launched HandMade Films, a key factor in the revival of the British film industry in the 1980s. He spent 30 years restoring one of the great estates and gardens in England, Friar Park. In every aspect of his professional, personal and spiritual life, until his final hours, Harrison blazed his own path.